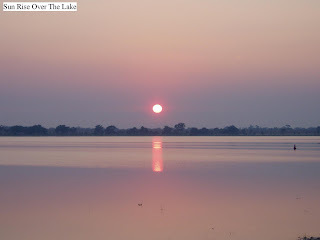 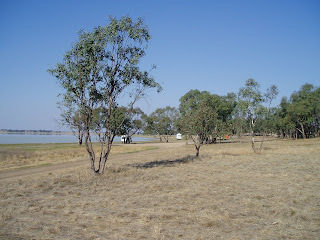 This vast lake has access for campers virtually all around the perimeter. 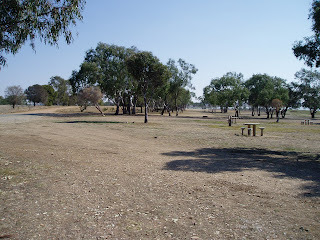 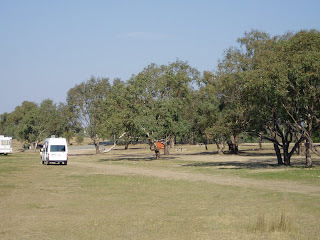 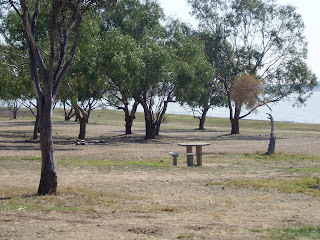 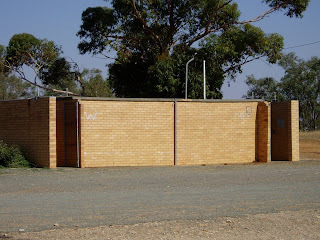 Located 16k west of Stanhope and 24k east of Elmore the camping area has tables, plenty of shade, a large bin and septic toilets. 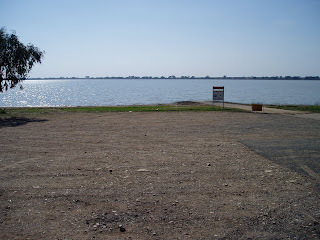 For the fisherman, there is a boat ramp and, according to the locals, yellowbelly, cod, red fin and carp are regularly caught. 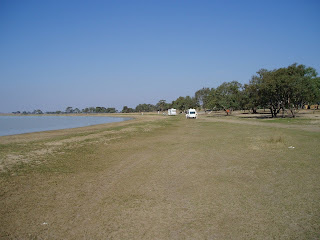 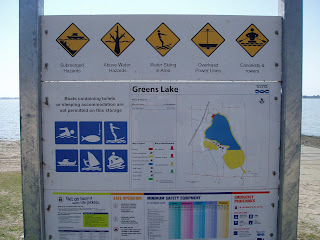 The lake is deep in spots and the sandy shore completes the picture. 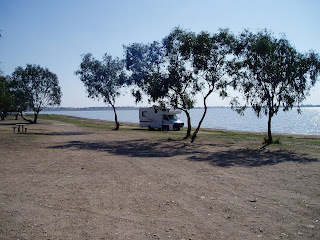 Although popular during holiday time, during our stay the camping population reached 5.